Susan Peek is one of my favorite Catholic authors. She has a series of books about saints – titled God’s Forgotten Friends – Stories of little known saints. One of the tag lines she uses is – the saints weren’t boring why should their stories be? And that sums up her novels really well. She uses the facts and writes them into exciting adventures about some saints you might not have heard of. The King’s Prey is Susan Peek’s best book yet! She has taken this story about a little known saint and created a heart-pounding adventure. Saint Dymphna who was an Irish Princess in 628 who had to flee from her deranged father. 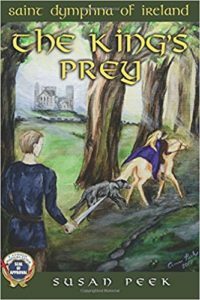 This story shows the treacherous chase across Ireland as Princess Dymphna escapes from her father. There is actually not a lot of facts about St. Dymphna except that she fled across Ireland from her father with the help of several people from her father’s court and a local priest. While it’s about a Princess, don’t let that fool you – it’s also a great book for boys. Since not much information is available about those who helped Dymphna, Susan has used her imagination and created a story about two estranged brothers, with a heart-breaking past, to add even more excitement to this fascinating real story. The combination of perfectly timed humor, riveting chase scenes, and swashbuckling fights makes for a must read book. One note – St. Dymphna is the patron saint of those afflicted with mental and emotional disorders. Her story makes for great discussions but also might not be appropriate for younger children. St. Magnus is one of three books in Susan Peek’s series – Gods forgotten friends. First of all, where were these books when my own kids were learning about saints? This is just such a great idea, sharing the stories of little known saints in exciting novels based on their lives. 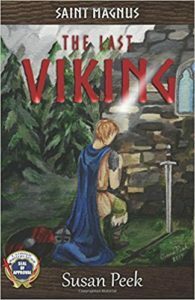 Susan Peek did a masterful job of bringing to life this saint from the early 1100’s, and giving the reader an exciting look into the Viking way of life. Ms. Peek has woven the facts surrounding St. Magnus into a wonderful story that makes him real and relatable while dropping the reader in the middle of a dramatic period of history. I especially loved Magnus, his brother Aerling, and their relationship. This teen book is equal parts geography, history, and theology lessons in a thoroughly engaging fictional story. I found it so compelling and interesting that when I finished the book I began researching St. Magnus wanting to know even more about this saint that I’d never heard of. I think any teen would enjoy this book but boys especially will love the adventure, danger and action that drives this novel. What a fantastic idea for a series, I look forward to discovering more of God’s forgotten friends. Treachery and Truth is the fascinating true story of Good King Wenceslas. I, of course, knew the name thanks to the Christmas carol but I honestly never thought about the inspiration for this classic song but I’m sure glad someone did. 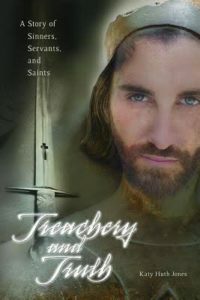 Katy Huth Jones writes a beautiful story about this beloved Czech duke, who was a faithful Christian during a time filled with pagan gods, betrayal and war. The story is cleverly written through the eyes of the Duke’s faithful servant, which was an intriguing way to tell this story. Though it’s a work of fiction, the story is based on the facts known about this historic figure and draws the reader into his fascinating life. It was inspiring to see this young hero’s faith and goodness that affected so many around him. I read this novel during Advent but it’s a fabulous book any time of the year. I look forward to reading more from this author. I am a huge fan of Susan Peek’s books. This is the third book of hers that I’ve read and once again I found the story extremely difficult to put down. This author has an uncanny knack for making little-known saints from previous centuries, relatable to modern teens. Her witty dialogue, fast-paced action, and compelling characters make these books perfect for teens and adults. Camillus de Lellis may have been an unlikely candidate to become a priest and saint with his mercenary background full of gambling, drinking and fighting, but these characteristics make him a fantastic example that anyone can be called by God to do amazing things. 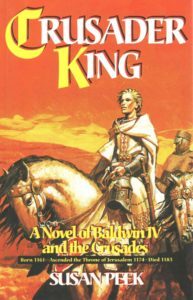 Crusader King: A Novel of Baldwin IV and the Crusades by Susan Peek. If you haven’t read one of Susan Peek’s books, you’re really missing out. She has a series of teen novels based on little known saints with the tag-line, “God’s Forgotten Friends: Because the saints weren’t boring, and neither should their stories be”. This encompasses her books perfectly. I’ve read all four of her books and have thoroughly enjoyed each of them. She writes fast-paced, action-packed novels that are incredibly engaging as well as informative. While they are written with modern language, which makes them easy to read and relatable to teens, these fact-based tales transport the reader back in time. I’d never heard of Baldwin IV. But what an amazing person he was. He became the ruler of Jerusalem at the young age of 13. He was a devout Catholic trying to protect his kingdom during the tumultuous Crusades from foreign enemies, as well as some closer to home, all while battling a horrific disease. Not only did I learn a lot about this period in history but was captivated by Baldwin’s personal struggles and inspired by his unwavering faith. Another amazing novel by this very talented writer. What an incredible look into the life of an incredible man. 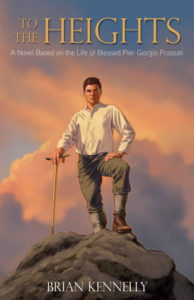 Pier Giorgio Frassati is a somewhat newer saint, having lived in the early part of the 20th Century. Because of this, there is a lot known and documented about this Saint. I thought the writer did a good job of keeping to the facts but making it feel more like a story than a dry biography. The reader is able to get a wonderful sense of Pier Giorgio through this book, which at times almost felt like a collection of inspiring short stories. Frassati was an Italian man, born into a wealthy family. He was well educated and is now the Patron Saint of Catholic teens. And I can see why. This young man loved his faith and spent his short life caring for others. His incredible faith and devotion to the poor. Even at an early age Pier Giorgio went out of his way to assist others and make them feel special. His family’s indifference to these things. I was amazed at the constant struggle he had in focusing on his faith without his family’s support. His strong friendships, especially with this sister. This was a young man who had many friends and loved their comradery. And the special relationship he had with his sister was touching. He touched so many people in very powerful yet simple ways. This is the big lesson from this book. We all have this ability to help those in need, pray for others, and be kind to everyone we meet. 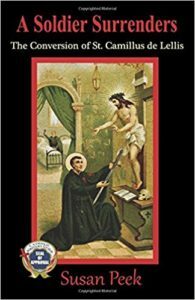 Often saints seem to be people who did really incredible things, but this book is a great example of how everyone can really make a difference. On a side note, as mentioned earlier, his family did not have a strong faith but through his death and finding out how many people he had touched, they did grow in their faith. His sister, in fact, was one of the reasons he became a saint. She devoted much of her time to telling others about her brother. I found it fascinating that his beautification was actually put on hold by the Vatican due to some false stories about him. After she travelled to Rome to clear his name, his path to sainthood continued. A treasure for Catholic families.